Football and turkey. Ugly sweaters and gingerbread lattes. No matter what your association is, the holiday season is already in full swing. It’s a time of celebration and merriment but above all else, the holidays are about family. And whether that means reconnecting with extended family or skipping town to avoid your sister-in-law’s bad cooking, odds are some sort of travel is involved. Much like retail, travel advertisers are also busy during the holiday season. As consumers have grown to be much more price-conscious and tech-savvy, travel marketers are increasingly challenged. They’ve needed to find innovative ways to appeal to multiple demographics while making the desired outcome, and overall experience, as seamless as possible. When it comes to travel, every consumer has a handful of wants and needs that they factor into their final purchasing decision. 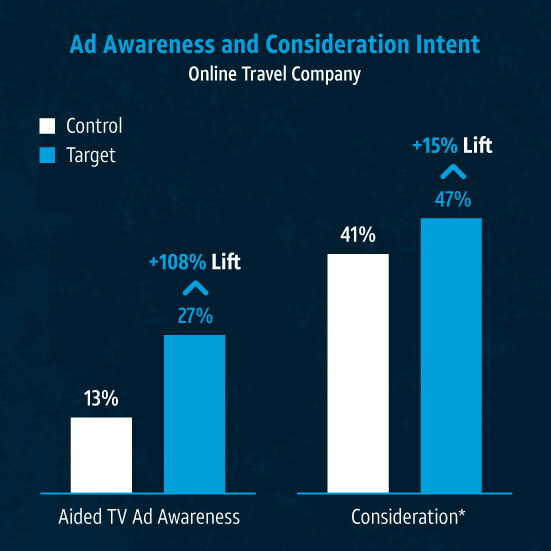 This makes travel marketing significantly more complex than, say, gum marketing. To be effective, marketers must have a deep understanding of their respective target audience and the ability to influence them at every stage of the customer journey. Traditionally, TV advertising required marketers to rely solely on contextual placements to determine desirable audiences for their ads. As TV advertising has evolved, marketers have been increasingly able to use data to identify and serve ads to more specific and relevant target audiences. For example: those who are frequent business travelers or leisure travelers who enjoy taking cruises could be specifically targeted. Marketers can even leverage their own loyalty program or customer data or to serve ads to existing or prospective customers. Estimates by eMarketer report the number of addressable households in the United States will be 74 million by the end of 2017. * This means travel advertisers can have their cake (it is the holidays after all) and eat it too. Addressable TV combines a premium, brand-safe environment with incredibly sophisticated data-driven targeting at scale. AT&T AdWorks has worked closely with many travel advertisers who have seen success with addressable advertising. By using a control versus exposed methodology to determine the success of a campaign, advertisers are able to isolate the impact of their addressable ad exposure in evaluating their results. Here are three examples. An online travel company used addressable TV to serve ads to those with children in the household and who had traveled domestically or internationally. It was looking to measure the effectiveness of its advertising campaign and drive brand consideration. The addressable TV campaign proved effective, as it drove a 108% lift in ad recall amongst the exposed group vs. those who did not see an ad. Additionally, those that saw the ad were directionally more likely to consider booking than those in the control group. And 80% of respondents found the ad to be enjoyable and reacted positively to the family-focused message. A major airline used addressable TV to reach both active and inactive card members, and employed lookalike models to extend the target segment. 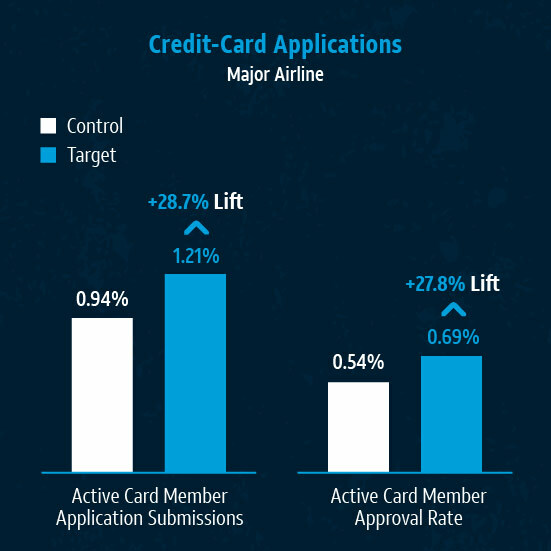 The airline was promoting its travel credit card to increase applications and signups. After the campaign aired, analysis showed a 28.7% lift in applications amongst those active card users who were exposed to the addressable TV ad versus those in the control group that did not see the commercial spot. Of those who submitted an application, the active member approval rate was 27.8% higher than the control group. Source: Experian; Case study results are based on individual campaign factors. AT&T makes no performance warranties. 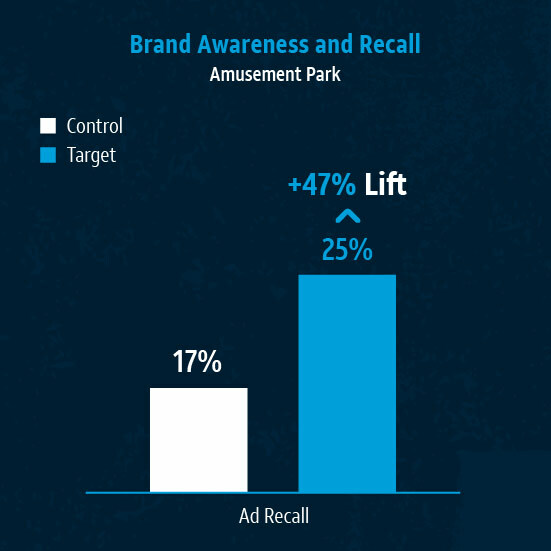 An amusement park recently implemented an addressable TV buy to measure consumer sentiment about the brand and to evaluate the commercial itself, and to see how media exposure affected brand awareness metrics. The target audience for the campaign was women 25-54, who were married with children in the household. The advertiser also layered on education and travel qualifiers to further define the target audience group. Source: Penn Schoen Berland; Case study results are based on individual campaign factors. AT&T makes no performance warranties. Addressable TV advertising continues to rise in popularity, with marketers recognizing the value of audience targeting, efficient ad delivery, and the ability to evaluate results at every stage of the marketing funnel. 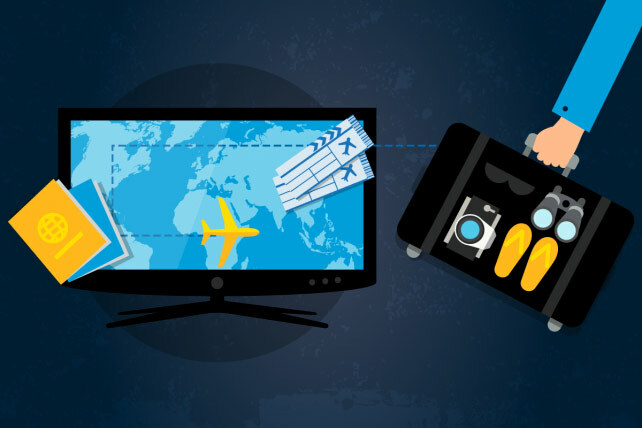 As travel marketers face increased pressure to attribute ROI to their various advertising touchpoints, addressable TV has become increasingly important in closing the loop. For both marketers and consumers alike, serving an ad in a relevant context is a far better experience, especially one that leads to a memorable one…like a family vacation.